Once again there was a lot of interesting art on display at the Bridges Conference this year. Way to much to write about in my blog. To see more work the entire gallery is available on the Bridges website. It is always difficult to pick a few pieces, but I will choose six over two blog posts. 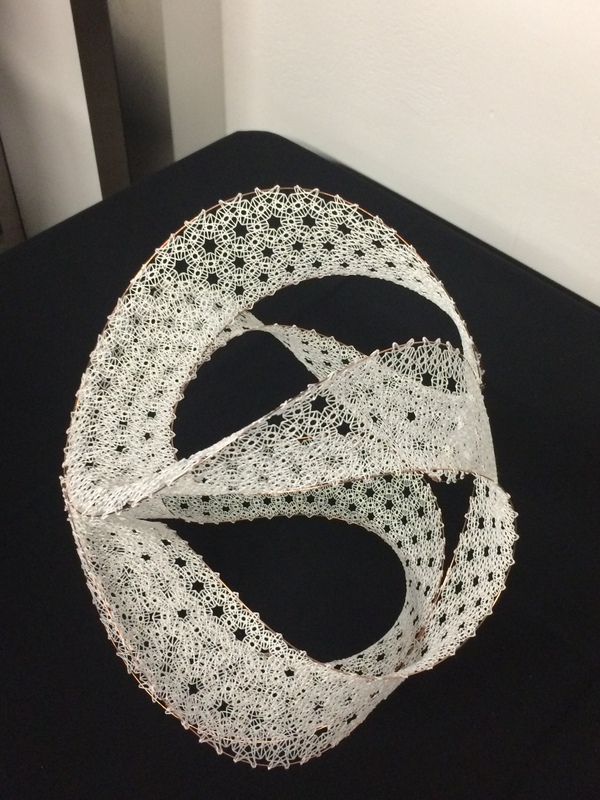 Veronika Irvine’s sculpture “Delle Caustiche (Sagittarius Star Cloud)” incorporates the art of bobbin lace making into a 3-D surface. The hexagonal lace pattern has been altered to create a disc formation with larger hexagons at the outer edge of the curves. It required 3 rotations of this disc process. 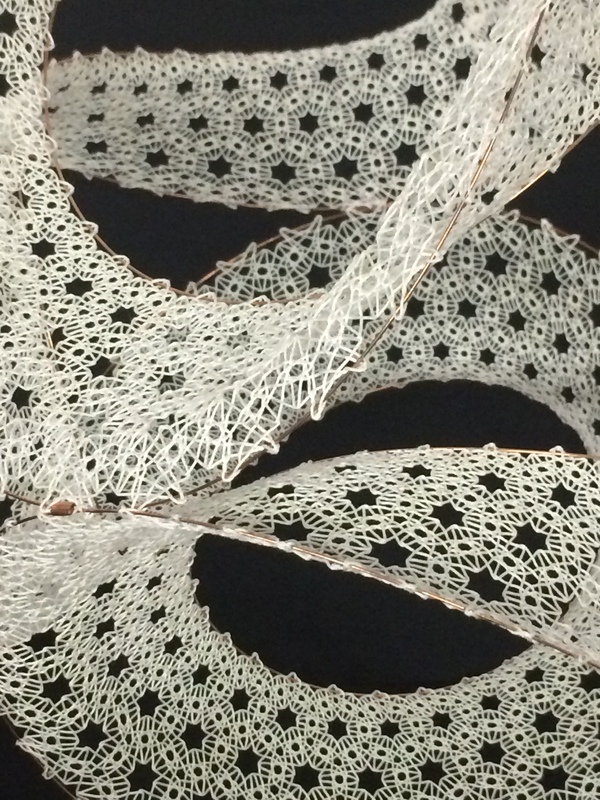 Copper wire has been used to give the lace structure. Irvine’s intricate band of lace graceful curves up and out of the plane. 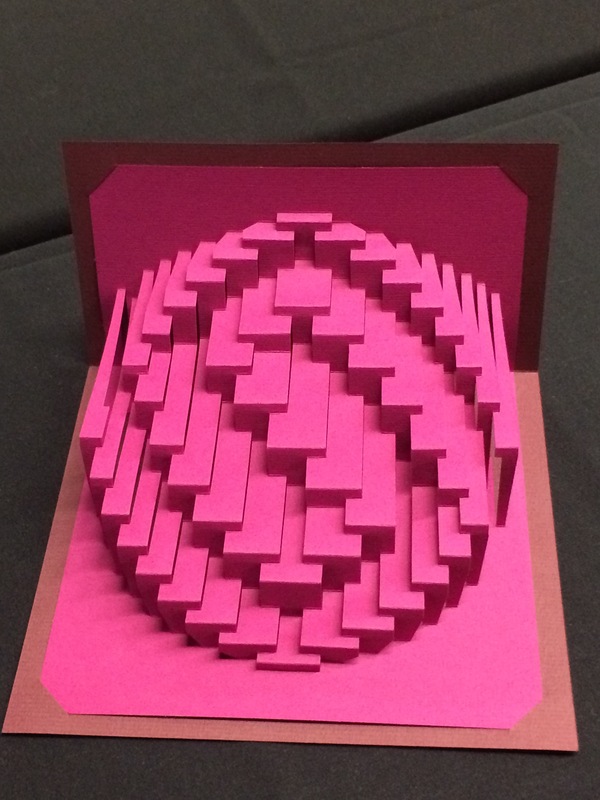 Guy Petzall’s “Obloid Whorl” pop-up model is masterful created, using a single sheet of paper. Cutting and folding along a grid format, Petzall creates what he refers to as “a whorling meander motif”. The flat paper has been transformed into a rising spiral. Lee Angold used water-soluble carbon to hand paint “Pinus nigra”. 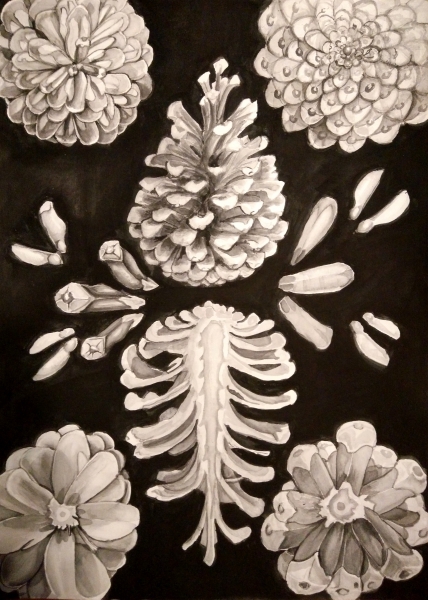 It is a an exploration of Fibonacci spirals found in cones of the Austrian pine, but with a twist. Cones with imperfect Phylotaxis are also included.